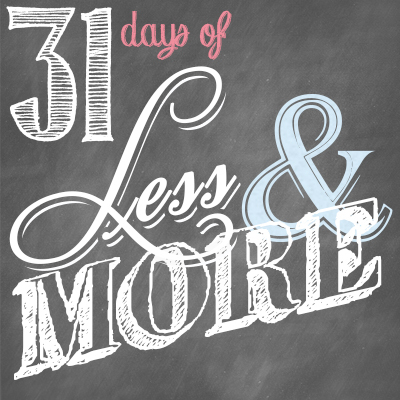 This is Day 14 of our 31 Days of Less & More challenge. To read all the posts in order, start with Day 1, then visit the Overview Page to see the entire series. I have to confess…..I really, really, really, really love my phone. I held out for so long, piously insisting that I didn’t need an iPhone, that it was just another time-sucking device, and that my regular-old 1st generation Android phone was working just fine, thank you very much, even with a cracked screen and no data plan. Besides, how much better could this whole smartphone thing really be? 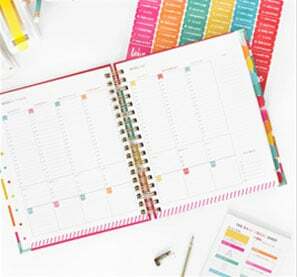 It is a note keeper, schedule-watcher, budget tracker, picture-taker, web-browser, email-checker, social media updater, friend-connector, and life-organizer all rolled into one. I’ve got apps for work, for fun, for saving money, for helping my kids learn math & reading, for checking the weather, helping me sleep, editing my photos, getting around town, searching the local real-estate market, scanning documents, booking travel, and more. The darn thing even turns into a flashlight when I need it to. But I have to confess that I may love it just a little bit too much sometimes. 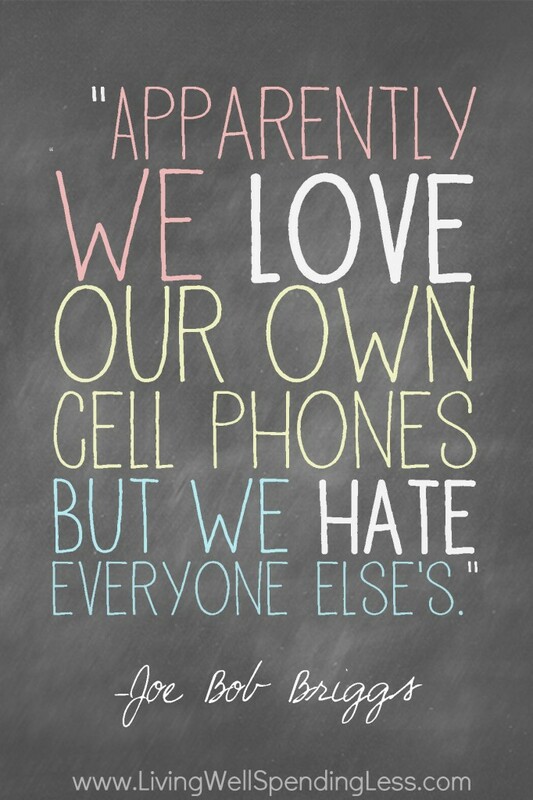 Like so many others before me, I have become a smart phone addict, subconsciously reaching for it at every turn. It drives my husband crazy. In fact, a few months ago, after he started bringing the girls to dance practice, he came home frustrated and upset that most of the parents spent the class glued to their phones. You should see them, he said, it’s just so sad! Their kids will do something good and then realize their mom or dad isn’t even watching and their whole face will just fall. Those parents don’t even know what they are missing. I didn’t say much. I didn’t want to admit it to Chuck, but I was one of those parents. How much had I missed? No cell phone at the table. Period. This goes for both in restaurants and at home. No answering calls, responding to texts, or even looking at the phone while eating–or spending any sort of time–with someone else. Turn off notifications. Eliminating dings or buzzes anytime someone sends a text, email, tweet or Facebook message greatly reduces the temptation to “quick check” to see who it was. I don’t know about you, but I’ve never not checked my phone long enough to miss an important message. Remove email. This option might not be feasible for anyone who needs to use their cellphone for work emails, but for me it has helped eliminate the very bad habit of constantly wanting to check my email. If someone important really needs me, they can text me. Otherwise it can probably wait! Like social media and email, smart phones can be a great tool when used wisely, and just another source of stress when allowed to take over. A little purposeful moderation can make all the difference. Be sure to read Edie’s corresponding post, More Communicating. Carve out some smart-phone free space in your day. Ask your spouse for an honest evaluation of your smart phone usage, then together create a few smart phone policies to implement in your life. Do you ever spend too much time on your phone? We’re pretty good at not checking our phones at the dinner table, but I do check email all the time, especially on days I’ve posted a blog post. Must. Do. Better! Could it be that you are writing this series just for me? 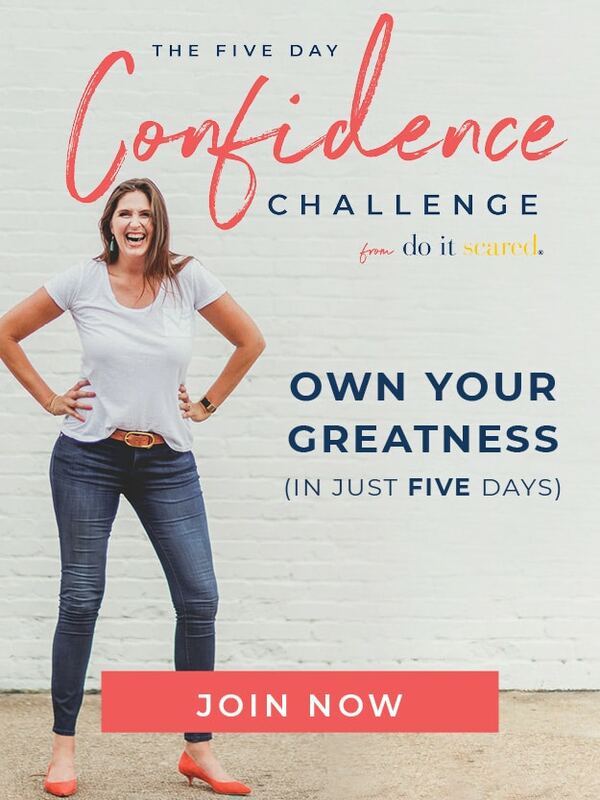 🙂 Seriously every day that I’m reading these posts I am so challenged and encouraged at the same time. Just in the past year I got a smart phone, granted it’s an older Android. While I do love it for all of it’s functionality, I can’t believe that I have turned into one of “THOSE” people, the addicted to your phone types that I claimed I would never become. I have had to create some serious boundaries lately to help eliminate the unnecessary distractions, but I do think I’m going to follow your advice and turn off the notifications. Who knew that a little ding on your phone could make you stop whatever you are doing and run across the room to see what you missed! this is great! my husband and i are awaiting our future child (adoption) and we were just talking about how we wanted to create habits now that our kid(s) will see in us. and the cell phone was one. i think i’ll start with these rules! I’ll admit I have been one of “those” parents! Great advice! Thank you for the ways you’ve listed to limit smart phone use. I too finally succumbed to the pressure to get an iphone–so I could stay in closer touch with my kids heading off to college. And it has helped there. No email on it for me however. I’ve had to ask extended family members to not have phones at the table, talked to them about the example set for my children and there is still work to be done on putting it aside whenever spending time with others. May I also add–do not bring it into the bedroom (except to use as an alarm) and delete the game apps. It is too easy to waste hours pointlessly. Thanks for standing up for an unpopular subject! My husband and I were the same way. We caved when the iphone 5 came out and the 4’s were a dollar. A deal we couldn’t pass up. 🙂 We follow the first two rules of not having phones at the table and I also keep my notifications turned off. I use the “no phones at the table” rule… In theory anyway. 🙂 often DH and I will talk about plans or budgeting while we eat, and out it comes to make lists or whatever. It’s like an extension of my brain these day. Lol. Guilty! Right here. But I do have a rule no toys at the table, not even mine! I do try to tune into what my kids are doing when I am with them during the day. Really they deserve more attention then anything else I may be doing. I do check emails way too often at things they are participating in. I also try to catch myself and put my phone down or give it to the little one to play with. Then I cannot access all the stuff because I don’t have it in my little hands to play with. Great post today. Agree tammy. We still have good old flip phones. My daugther does have an iphone. Last year we switched to a company called twigby and they absolutely are for us Frugal freaks. great service, and you do not have to have data. Twigby uses verizon and sprint. works for us well.